India and Nepal both share great Himalayan Mountain range. Many rivers originate from Himalaya and this mighty hill range is a perfect host for nature thus makes it an ideal location for wildlife. 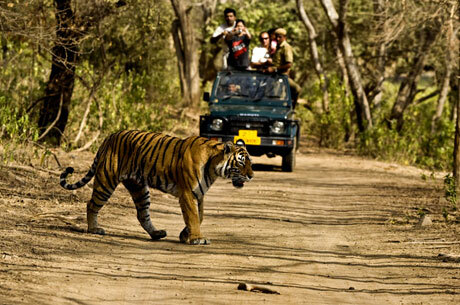 India Wildlife Travel along with Nepal Wildlife Travel becomes a true tiger safari in Indian Sub-continent. During this Jungle Tours in India and Nepal, a wildlife lover will experience few of the finest national parks located in Himalayan foothills. This would be an India Wildlife Safari as well as a Tiger Safari in Nepal. In Indian Side, it includes Corbett National Park – a heaven for birding tour in India, a sought after place for Elephant safari in India and a tiger reserve for Tiger tours in India. In Nepal part, Chitwan National Park is world famous for highly endangered Asiatic Rhinos, Royal Bengal Tiger, Wild Elephants and Birds. A wildlife tour of Nepal would not be justified without visiting Bardia National Park and Suklaphanta as both are very rich with wildlife. Not only wildlife, one will also witness the serene nature at the lake town of Pokhara and enjoy a boat ride over beautiful Lake Fewa overlooking the mountains in the background. Arrive at Delhi international airport, you will be assisted by our representative and transferred to the hotel. The day is kept free to relax before getting ready for Indian Wildlife Safari. In the morning, transfer to Corbett National Park. Arrive at Corbett and check in. Today join a bird watching walk with our guide which will take you to the Sal forests located near to the resort. The evening is will be free to enjoy one of the wildlife movies. 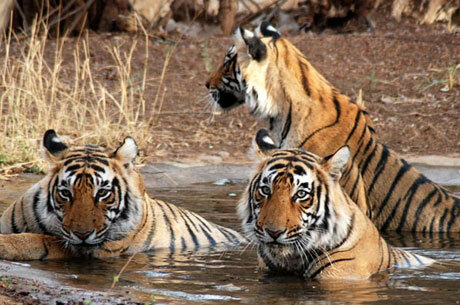 Corbett National Park is the initial national park of the country and is one of the finest Tiger Safari in India. Corbett has very rich population of royal Bengal tiger, Indian elephants and various leopards. Apart from wild animals, Corbett has different birds also. 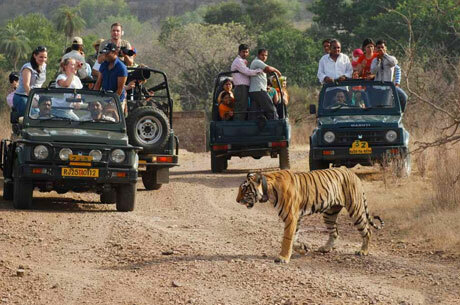 In the early morning take a jeep safari to track the king of the jungle Royal Bengal Tiger along with other wildlife. After having lunch visit the park once again. You may take an elephant safari in Corbett. Today visit Corbett National Park through the jeeps once during the morning safari and again in the afternoon along with our expert naturalist. 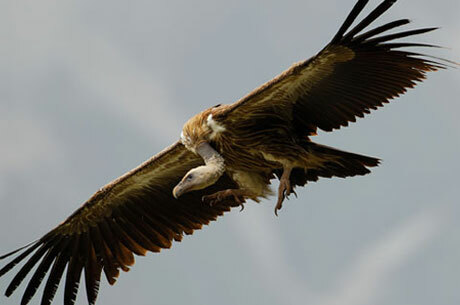 Today would be very important for this Indian Wildlife Tour as you will be having great chances to view Indian Wildlife after spending two nights here. In the morning, transfer to Mahendra Nagar, which is the border between Nepal and India. From Mahendra Nagar, our Nepal representative will receive you and drive further to Royal Suklaphanta National Park. Arrive at Suklaphanta and check in to the Jungle Camp. Rest of the time is kept free to enjoy the beautiful forest surrounding to the resort. Today, Nepal Wildlife Tour starts. The complete day will be used in various jungle activities in Nepal. 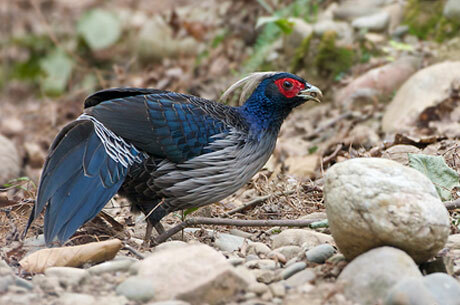 Suklaphanta is an ideal place to observe Nepal wildlife in Himalayas. The park is a very famous wildlife Safari in Nepal. After having leisurely breakfast, drive towards Royal Bardia National Park. Arrive at Bardia and check in to your resort. In the afternoon, start a game viewing safari through the dense forest of Bardia. Today, visit Bardia National Park twice in the morning and evening respectively to view the different wildlife species in their natural habitants. 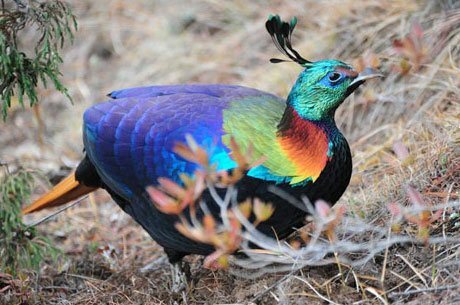 Explore the park in the morning and again in the afternoon to see the rich wildlife of Nepal. In the morning proceed to one of the largest and well-known safaris in Asia – The Chitwan National Park. 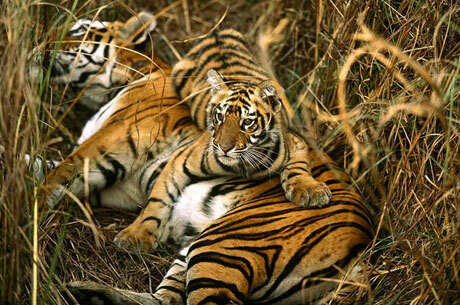 It is one of the best Tiger Safaris in Nepal and is always a part of Nepal Wildlife Tours. During the day take numerous wildlife activities in Chitwan to enjoy this Nepal Wildlife Tour such as elephant safari in the jungle, jungle walk to see the wilderness of Chitwan, Nepal bird watching tour, canoe ride over the river and Tharu stick dance of locals as well as slide show. It would be a complete Jungles tours to Nepal. In the morning, drive to the beautiful town of Pokhara. Arrive at Pokhara and check in to the hotel. In the evening enjoy the boating on Fewa Lake – a very beautiful lake overlooking the mountains. In the morning, transfer to Kathmandu –the capital city of Nepal and check in to your hotel. Today, visit Kathmandu Darbar Square, (UNESCO World Heritage Site) Lord Shiva temple Pashupatinath – an auspicious place of Hindus and Bodhnath – one of the biggest Stupas in Nepal and also a very ancient Buddhist Stupa. At Appropriate time, transfer to Kathmandu airport to catch the flight for Delhi. Arrive in Delhi and embark the connecting flight back home. The tour ends.